Bossie – Close up on me ! 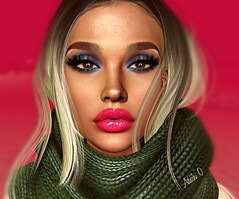 Hair : DOUX – Rose – Fades Pack . By David Cooper (dam1710) @TheDarkness! Pants : SPIRIT – Anita Jeans – Part of Anita Outfit. By Spirit Osmus @KUSTOM9 from 15th October’17 NEW!! !